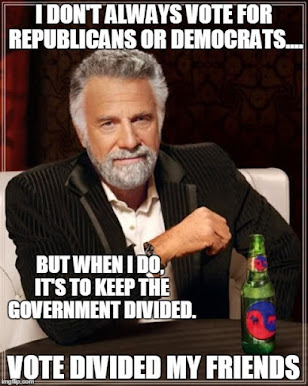 The Dividist Papers: STRIKE! STRIKE! STRIKE! "OAKLAND, Calif. — A week after police in riot gear rousted and then tear-gassed Occupy Oakland protesters, supporters of the movement have rebuilt their encampment in front of City Hall and are calling for a general strike on Wednesday that will include an attempt to shut down the nation’s fifth-busiest shipping port. “We call for a general strike around the country, and around the world, because we know that the wealth of the 1 percent is produced by the work of the 99 percent,” said Louise Michel, one of the protest organizers, at a news conference." That is because she is not likely to stay in office long enough to complete her first term. Hard to imagine how she could have screwed this up any worse. First she calls on her police force to clear out the Occupy Oakland protesters illegally camping on public property. Then, when a protester is injured in the process, she throws the police under the bus and let the protesters back in. In one of the most crime ridden cities in the country, the mayor of that city alienates the wildly understaffed thin blue line of police that protect that city. Finally, in one of the most cash strapped financial basket case cities in the country, she encourages Oakland city employees to call in sick in sympathy with today's "General Strike" while cancelling all leave and calling on the police again to protect the public and property from the strikers . So let's review. She pissed off the protestors, she pissed off the locals who want the protestors out, and pissed off her own police force. 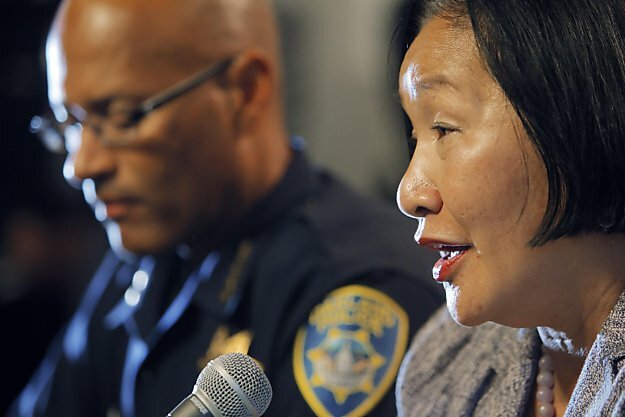 I have an idea how Mayor Quan can save her city a lot of money. Don't make Oakland pay for a recall election that is a foregone conclusion. Resign. "As for Quan, the CBS 5 poll found her approval rating is now a dismal 20% — with 64% of Oaklanders disapproving of the job she is doing." Occupiers! 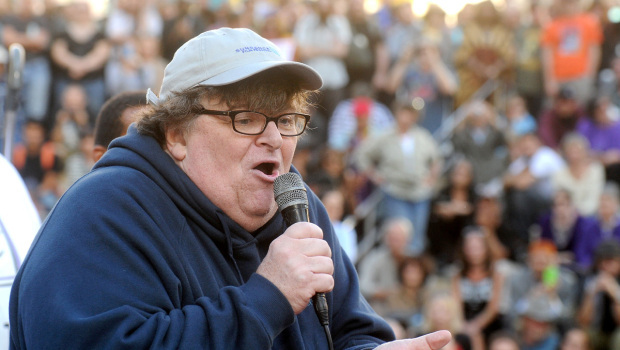 Michael Moore is behind you all the way! Right across the Bay! Right across the Bay! If you listen carefully, under the loud chorus of wishful thinking, you can hear a a clear note of desperation from many on the left. They grasp at the notion of "Occupy Anywhere" being a harbinger of a new mass movement like a drowning man reaching for a floating life ring. Let's get real. This "Occupy Anything" oddity is not a movement and unlikely to become one. 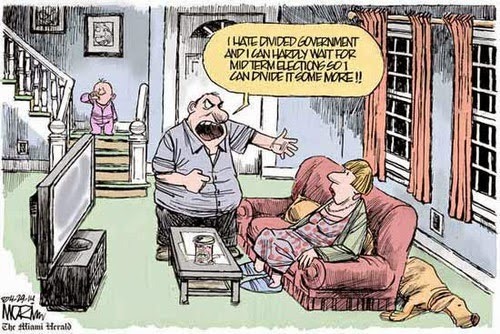 A legitimate expression of popular frustration that has garnered support in tough economic times? Sure. But a movement? I think not. A movement needs a clear message and goals. As the usual suspects rush to lend their support, they will continue to try and co-opt the protest into something that it is not. The Occupy Anything Oddity will only continue to show its surprising support for exactly as long as it's message is mushy, muddled and incoherent. If/when their goals crystallize around views that MoveOn or Michael Moore fervently hope it to become... at that moment - it's over. My songs come rolling in off Highway One. Doesn't mean that I don't care. So next time brother - off a pig for me. Pull the triggers -------, we're with you all the way. LEMMINGS is my favorite parody album ever. Sadly the Baez spoof isn't on it. Lampoon had already released it on RADIO DINNER, so it was cut from the LEMMINGS album for space reasons. Chevy Chase's COLORADO spoof of John Denver is on my car shuffle. Not nearly as whiny as Denver's stuff and a lot more realistic. Quan is learning the hard way why one has to have a strong and consistent position when dealing with mobs and reactionaries. because if you try to appease them they simply walk all over you. Doesn't matter if the mobs are left-wing or right-wing, once they decide that they need not respect the law. OTOH - Jean Quan has seemingly done the impossible. She successfully united the people of Oakland. Saw a poll this morning that 85% of Oakland residents now are united in believing that she is not doing a good job. Sure - it's not quite up the "99" yet, but give her another day or two. Re: Tagami - if there isn't, there should be. I feel a blog post coming on.